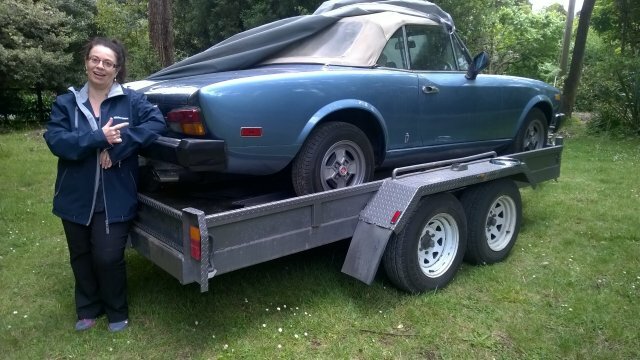 This story has to start when I sold her (unknown to me) much loved Fiat 124 Spider 1800, it was 1995 when our first born was about to arrive and I thought, back of an Italian sports car was no place for a child capsule carry thingy with a Newborn! On a trip to Melbourne in 2013 delivering 2 cars, spotted an 1980 Fiat Spider (DS) Fuel Injected 2 litre in Azurra Blue ,hidden in a very small and dark old wooded garage, John the owner joked about selling it to me as he just bought the 130 coupe and on the net found a Dino Coupe! …..So Jokingly rang Deb at home and said “Do you want a Fiat Spider?” famous last words! So on the next trip to Melbourne my wife Deb had to come along! so after we bought and picked it up found it needed some attention! some bright spark spray painter in the U.S. did a half hearted blue over the deep red over the original Azurra blue it was! yep painted over the S/S kick and door striker plates, fuel filler everything! 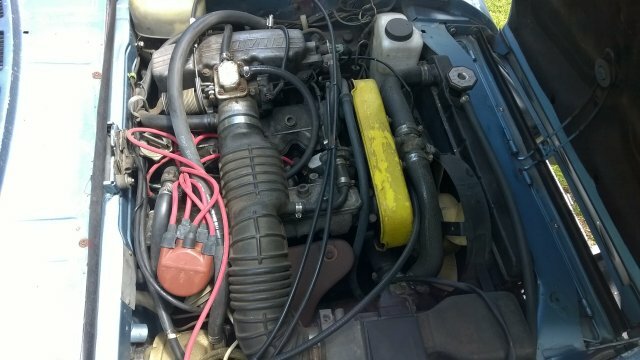 Exhaust has a wholly section before the Ansa rear box , Engine is in bad need of a full service and tune and the new roof is in the boot ,not on the roof! good stuff? 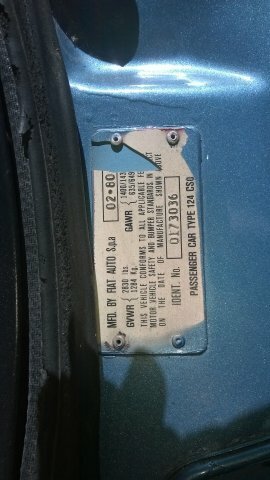 the body is not rusted away only a spot or 2 on boot edge and corner of door! Update 3/2015 – This month making a small start was getting the spider over to Jeff at Carline Malaga for an exhaust system remake from extractor to Ansa rear box! the original job had more hole than a sponge and was wrongly fitted to start with!…yep that’s it, done and sounds much better than a fart escaping sound!!!. 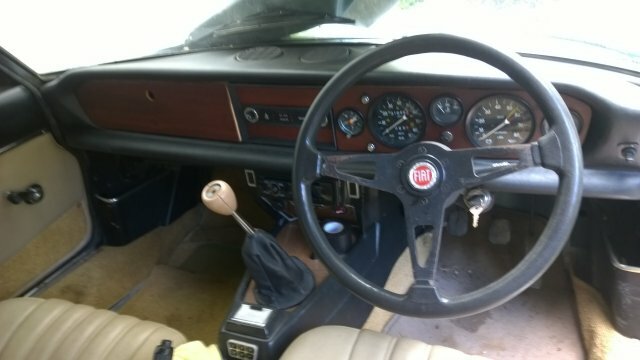 Update 5,6/2015 – This month is a time to start looking at the dodgy RHD conversion and see what can be salvaged, not much, the dash is fitted too far to the right to match the wrongly placed RHD steering column, the glove box has no latch to close as it can’t open anyway! !…..ok onto the hoist for the rest of the inspection…think I will be sick! After driving an USA delivered Fiat, I can see why they all get the motors rebuilt! This would have to be the most gutless twin-cam ever! 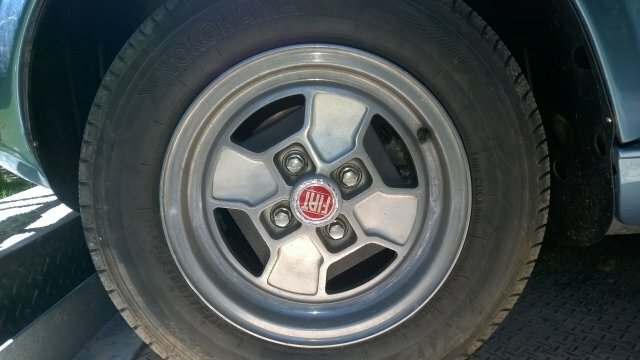 !…..Ok now that is said it still drives like an Italian even thou it is buggered up by Californian law! The flat top pistons are awful in the U.S cars, not too much power for my speeding wife but some basic enjoyment at least!! Update 8/2018- Well after a long break from hating the RHD conversion and parking it up, we have moved on to clearing the mancave and taking a look at it again ,while there is hoist time available!